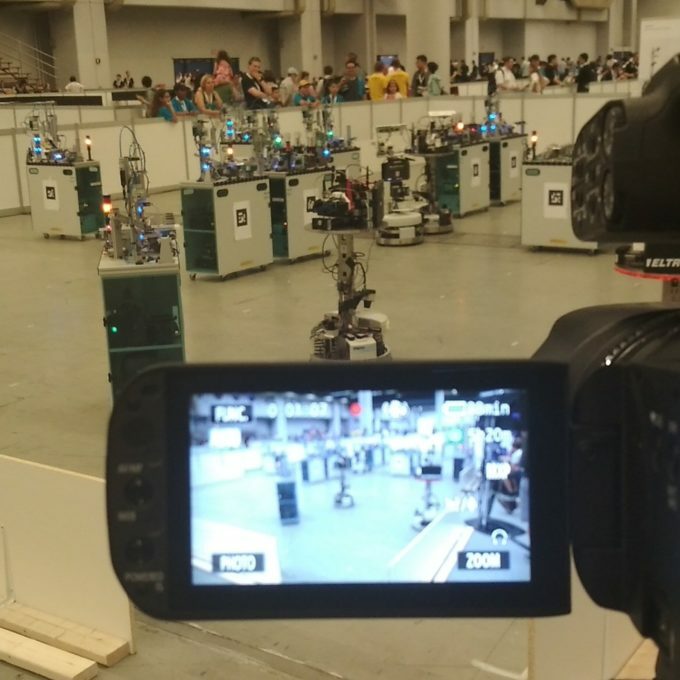 The Carologistics Team from the RWTH Aachen University and FH Aachen safed the third place in the category "Logistics League" in the international RoboCup finals, placed this time in Montreal. This discipline are characterized by its big technical steps forward annually and gives an insight, to what "Smart Factories" are able to deliver in an Industry 4.0 context from an intralogistic point of view. The robots of the individual teams autonomously explore the 14 x 8 meter space, reporting constantly which position the machine is located and thus seek the best connections between individual machines. After this exploration phase, the robots plan, implement and optimize the material flow and deliver products according to dynamic orders in the industrial production plant. This procedure results in tasks with temporal dependencies, which the robots have to divide among each other. The fact that it was not enough to defend the title this time, is mainly due to WLAN problems: After the robots did not move due to a lack of communication, the Carologistics decided to replace all WLAN components. The new hardware delayed the gameplay and the robots got to know after several minutes, that the game had already started. Despite the adversities, Team Carologistics gave it all and was able to work its way forward in the tournament until it was beaten by the new world champion from Graz, whom they had defeated in the final the year before.